Poll: Would you let someone else use your caravan? 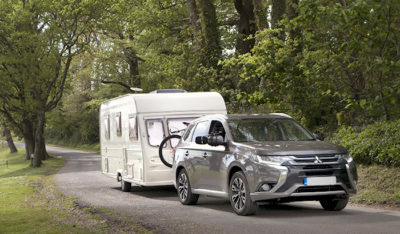 You own a touring caravan but do you get chance to use it as often as you would like? If you work full or part-time it can sometimes be difficult to pack in lots of breaks away in your tourer. How about letting someone else use it when you’re not? Our caravan insurance policy providers cover for our customers to lend their touring caravan to family and friends. This can be a great way to let your nearest and dearest experience the joy of caravanning with the peace of mind of our Defaqto 5 Star rated insurance policy. But our policy does not provide cover for caravans hired out for financial reward. So, you would not be covered for any damage caused to your caravan if you hired it out and charged someone for this. So, in this month’s community poll we’d like to know if you’d consider letting friends, family or even a complete stranger use your caravan. Maybe you’d be happy to let a novice use your caravan pre-sited – but wouldn’t be happy for it to be towed? Vote using the buttons below and tell us what you think about letting someone else use your caravan in the comments section below. Would you lend or hire out your caravan? We’ll report back the results next month. No way would I let anyone use my van. People do not respect other people’s property at all. It cost me a lot of money ,I knew someone who lent a friend their motorhome for a week and they filled the onboard water tank with diesel. It cost over £2500 to have all the water system and heaters replaced !!!! No way would I loan my caravan to someone. Especially my son who has terrible smelly feet. haha. Neither would I let anyone else sleep in my bed at home, some may think this is selfish I just think that I have worked hard and saved a lot of money for this and I can only blame myself if it gets damaged. i once lent my caravan to a friend as he could not afford a holiday for his family. never again. he returned the keys saying a good time was had with no problems.when i checked the van later i found there had been a chip pan fire causing damage and a few items for outside use were missing.needless to say we are no longer friends. No way would I let anyone have my pride and joy. Only I look after it as it deserves and no one else can use it. Absolutely no way would I loan my pride and joy out, it cost me to much money and if it’s goin to get damaged then I or my good lady will be the one to do that no one else. Some people nowadays have no respect for other people’s property especially when they have not paid for it. If my daughter wanted to use it I would be ok with it. Her and her husband don’t smoke and the grandchildren are well behaved. My son however is a different story and would only let him stay in it with us. I wouldn’t let strangers use it at all. No our caravan is personal to us. We spend a lot of time money and effort to look after it so I would not lend or hire it to any one else. My caravan is two years’ old and bought from new. It is my second home and is very well looked after. There is also a specific health issue as I am allergic to dogs and cats and would never allow anyone to use my caravan for this reason alone. Part of the reason for its purchase is that too many hotels are pet friendly. Believe me it is not funny for those of us with allergies.